What Are You Smoking, November 2018? I’m drinking tea and smoking Dark Plug in this thing. Not sure what it is. Hot damn, that’s right up my alley. Wow. Black and white is the only way to go on that one, you can’t see how brown the stem has gotten over time. 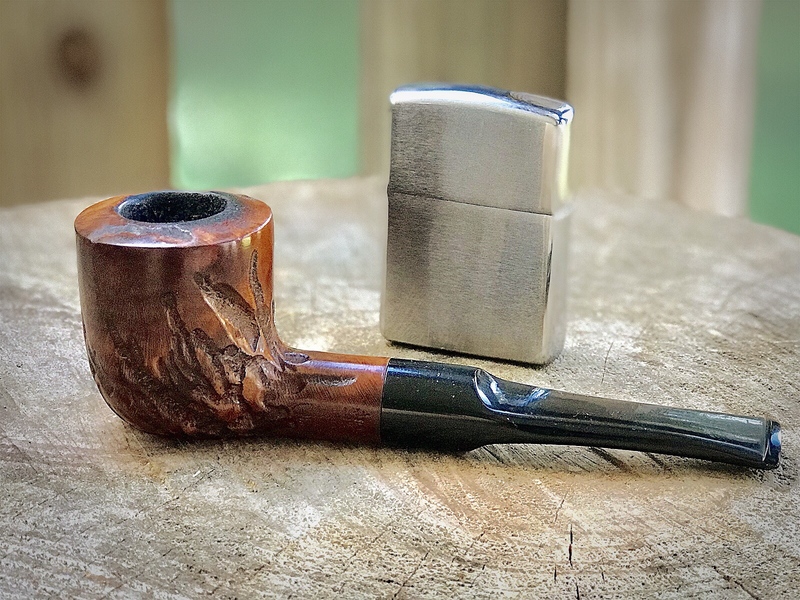 Mac Baren HH Bold Kentucky Flake in my Peterson LE 2017 POY 423/1000. Having some Cuban Mixture in a Comoy's billiard. Having trouble smoking this bowl of Devil's Holiday. On the phone with fellow officers, and drinking water. I will most likely step it up later. Hi there! Just finished some Missouri Meerschaum Missouri Pride in a Missouri Meerschaum 5th Avenue Legend straight corncob pipe! Good stuff! I agree, SWR in a well seasoned and dedicated cob is an awesome smoke, PA is pretty good too but the verdict is still out on that one. I've been a SWR smoker for decades, cobs and briars. Smoking SWR in a Legend Flat with a bent Danish bit and drinking fresh brewed Maxwell House coffee as I get up and at it. Hello world. Squadron Leader in a BST bent billiard with iced tea on the side. Just lit the grill and mid-way through some OGS in a Castello Army Mount Sea Rock. Next up is Amphora FA in another Castello. MB GE in a Sav Canadian on a rainy, cool East TN afternoon. A friend gave me some beer she brewed to try. I like to help people so I agreed to take the free drinks. Pale ale in a stainless pint container and smoking silver flake in a Kaywoodie. Another corncob pipe smoke for me! This time Sir Walter Raleigh Aromatic in the Missouri Meerschaum Apple Diplomat.